Legend (2015) – WHO IS THE MAN FROM KRYPTON? I’ll get this out of the way and say that this film was not at all what I expected and in all honesty, what I wanted from a film that is supposedly about The Krays. Going in to this film I expected it to be all about their rise and eventual fall and all the interesting parts in between, however I was apparently wrong to expect that because what we got instead was the story of Reggie and his wife, Frances, with just the occasional inclusion of The Krays doing what they were notorious for. I didn’t want a film about a good girl marrying into a gangster family, especially not throughout a film that lasts over 2 hours and you feel every minute of those 2 hours. 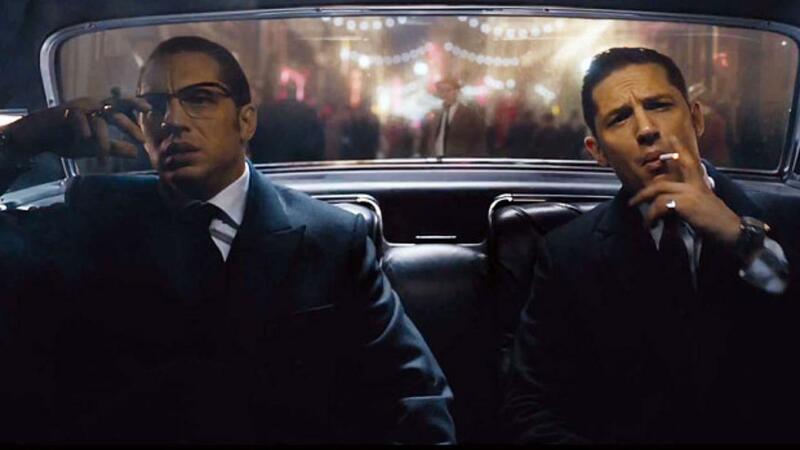 The truth is that the only saving grace of this film is Tom Hardy, who delivers his best performance ever, tied with his performance in ‘Bronson’, as Ronnie and Reggie Kray. Hardy is sucked deep into the roles and I had to keep reminding myself that The Krays were played by the same actor and that is damned impressive in my opinion. What really helps is that the dialogue Hardy is given to work with is excellent and really allows him to show his range and make these two very different characters seem genuine. Watching ‘Legend’ I couldn’t help but feel that in the bloated 130 minute run-time that there was a damned near perfect film struggling to burst out, the actual scenes between The Kray brothers were especially excellent and in fact most of the actual gangster stuff was very good, it was funny, interesting and oft times very intense and gripping. It is just a shame that there actually wasn’t much of it and was used more of a background for the romance or at best, as a way to forward the romantic plot along. If ‘Legend’ had embraced the true nature of The Krays and gone gangster and brutal, as it showed it was more than capable of doing, I’ve no doubt that this would have been my favourite film of the year and might have even been one of my all time favourite films, but simply because the focus was almost entirely on Reggie and Frances, the story is quite simply, not good enough or interesting enough to keep a viewer engaged for over 2 hours. Having said that, you owe it to yourself to watch this film, to enjoy the gangster oriented scenes as well as witness Tom Hardy at his absolute best.